About AFI Direct Service, Inc.
About AFI Direct Service: “AFI” is a family-owned business that has been providing quality service to our customers for over 50 years. We understand how important properly working hydraulic systems are to the heart of our customers’ businesses. You need quality repairs … and NOW! When you work with AFI Direct Service, you get both every time. If you need pick-up and delivery, we’ve got you covered. We have a driver on duty every day. If you need expert troubleshooting, you won’t find a better resource. We provide a full range of products and services. Experts on staff will assist in getting you up and running as quickly as possible by fixing any hydraulic cylinder, motor, valve, pump, jack, hoist, hose, crane or in-ground lift system. Take a look at our Hydraulic Repair Services and Hydraulic Sales page to see all the manufacturer products we support, fix and sell. We take pride in the amount of return business we have earned over the years. It shows us our commitment to competitive pricing and exceptional customer service is recognized among our return clients. If you would like to work with a company that you can be confident will get the job done right the first time, contact us today to learn more about AFI Direct Service! Check out our photo galleries to see recent project pictures. We are also a full machine shop! “AFI” is a family-owned business that has been providing quality service to our south eastern Wisconsin and the Milwaukee area for over 50 years. We provide a full range of products and services. 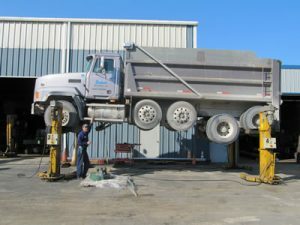 Experts on staff will assist in getting you up and running as quickly as possible by fixing any hydraulic cylinder, motor, valve, pump, jack, hoist, hose, crane or in-ground lift system. We have a fully-equipped mobile service division that can come to your location for hydraulic repair services or for pick-up and delivery of hydraulic products serviced.